I’m taking a one post break from my travels to write about my evening at the Gourmet Food & Wine Expo this past weekend. If you’re a lover of wine and live in the Toronto, this is a fantastic way to discover lesser known wines and try some without having to buy an entire bottle! The concept is great, you purchase a general admission ticket and then purchase ticket stubs that represent a dollar per stub and basically represent your currency to purchase samples. Most wines/spirits cost 1-3 tickets, beers are usually 1-2 tickets and food was around 4-5 tickets. 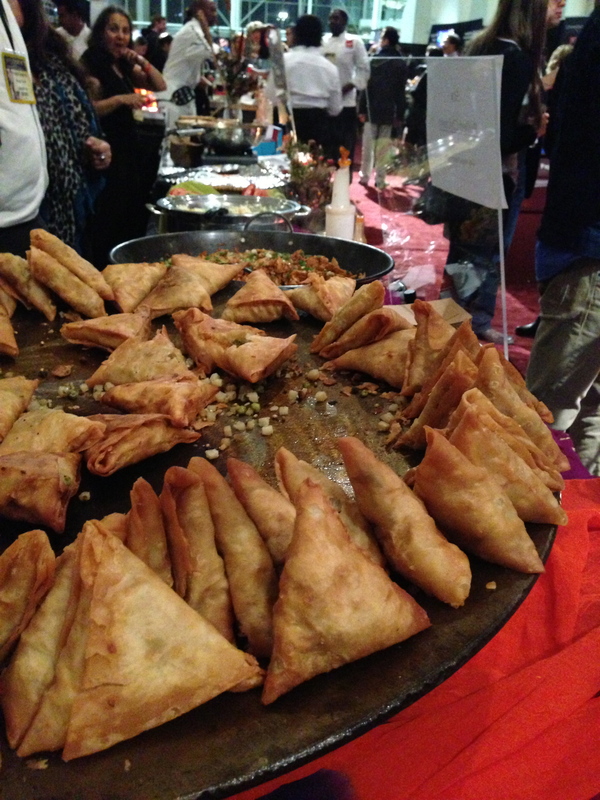 This year, the expo seemed to focus more on food choices with some of the best food vendors I’ve remembered in recent past. There were many local restaurants with booths like Brassaii, Ki, Guu, Big Daddy’s and Franks to name a few. 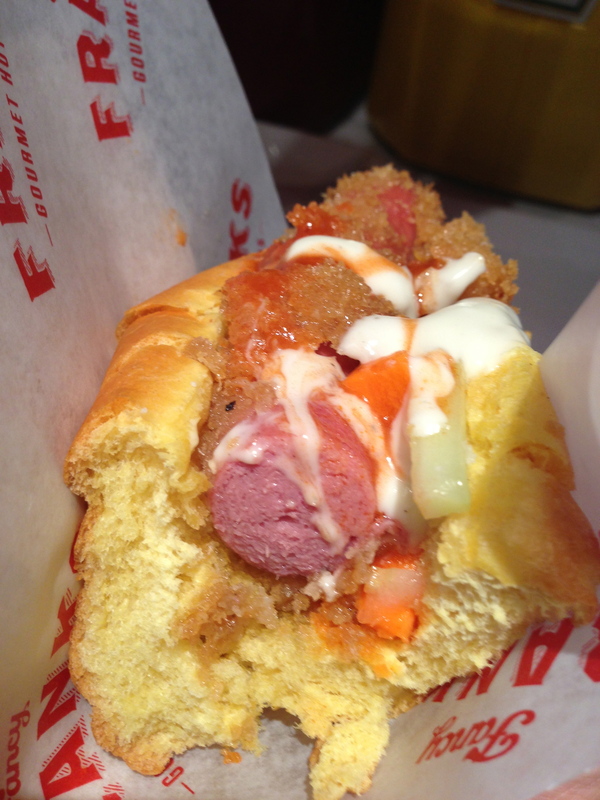 My favourite, the Frankie Goes To Buffalo hot dog from Franks. Panko crusted and deep fried with buffalo wing sauce – it was delish (although the dogs from Iceland still top my list!). Best drink of the night, the Tag Royale….perfectly balanced between sweet and tart, a really easy cocktail to drink! Already looking forward to next year’s expo! 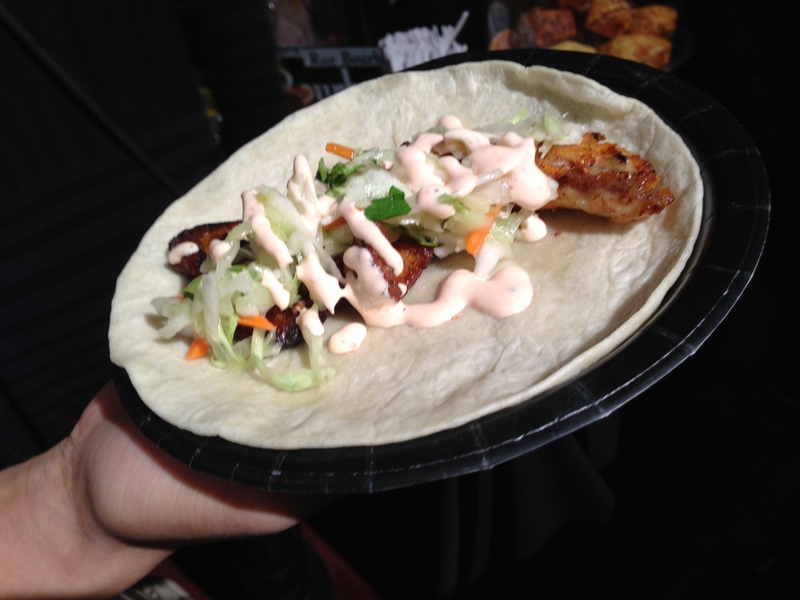 From the “Big Daddy’s” booth – Catfish tacos! 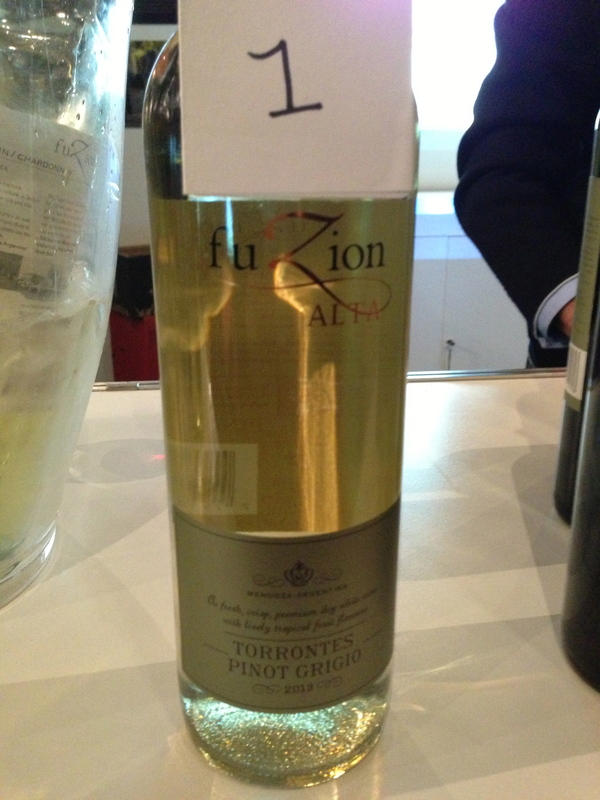 Trying some Argentinian wine – Fuzion’s Pinot Grigio. 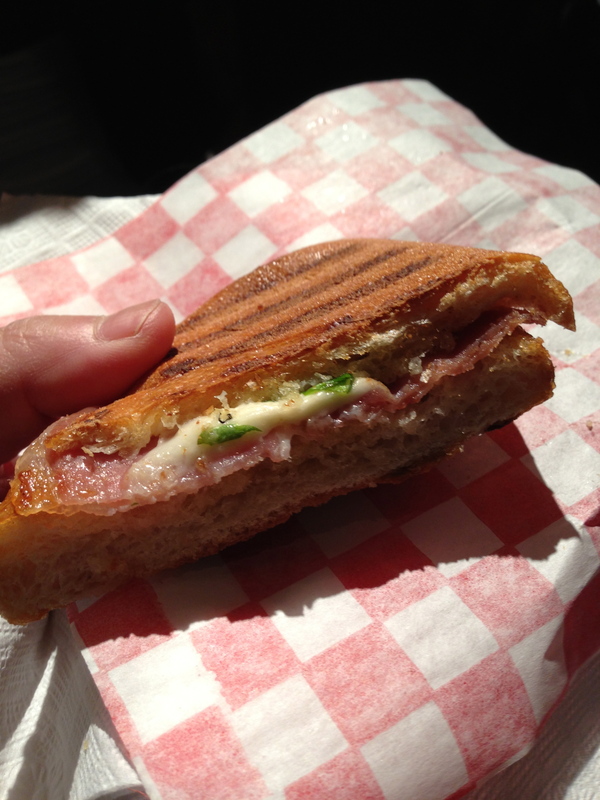 From the “San Danielle” booth – prosciutto paninis. 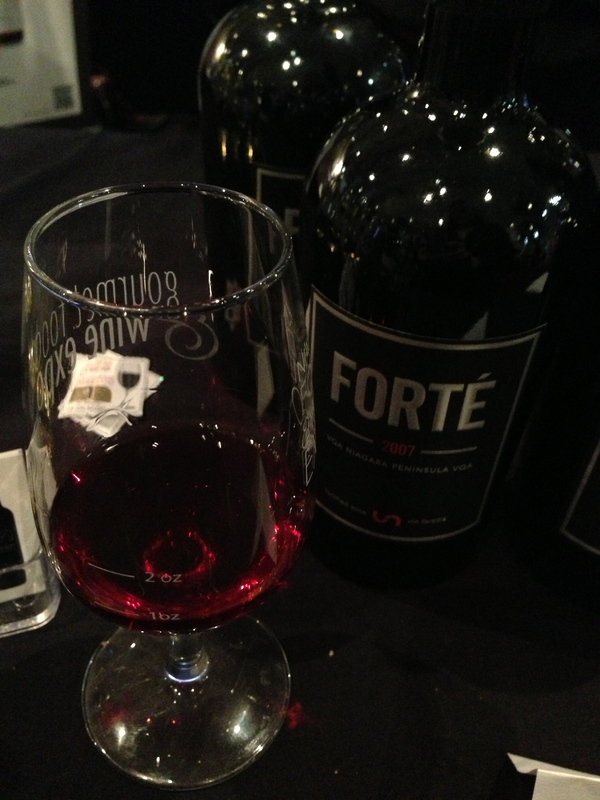 Trying some “port” wine from Ontario’s Union Winery. 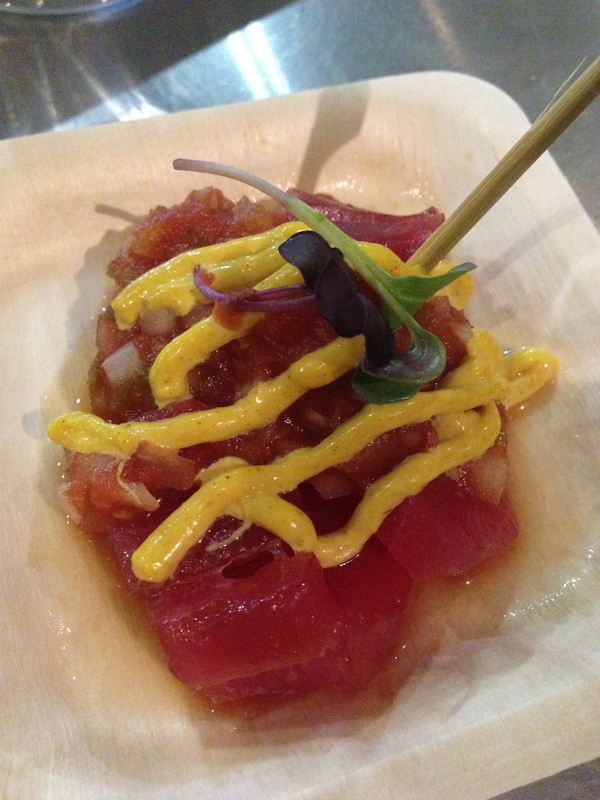 A sampling from the Guu Izakaya booth – marinated tuna. 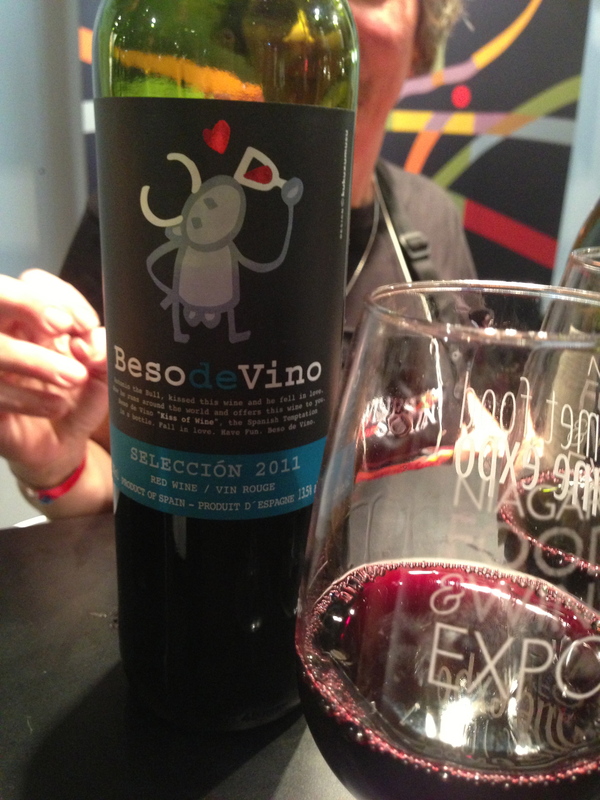 Spanish wine – Besode Vino. 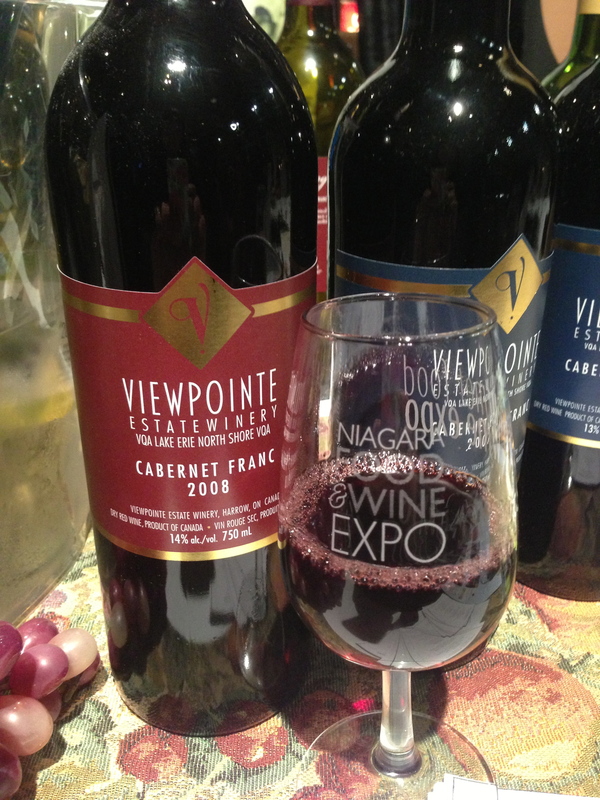 Ontario winery – Viewpointe’s Cabernet Franc. At the Franks Gourmet Hot Dogs booth! 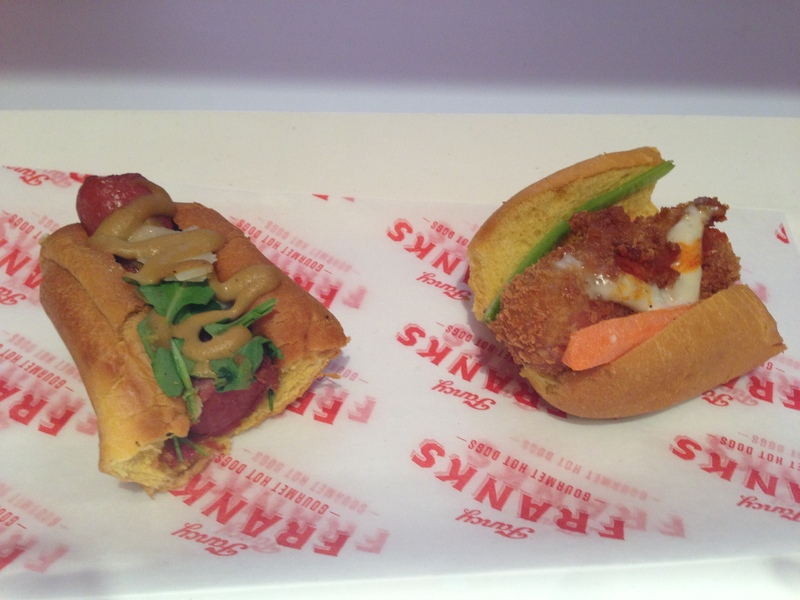 Franks’ Frankie Goes To Buffalo hot dog – delicious! 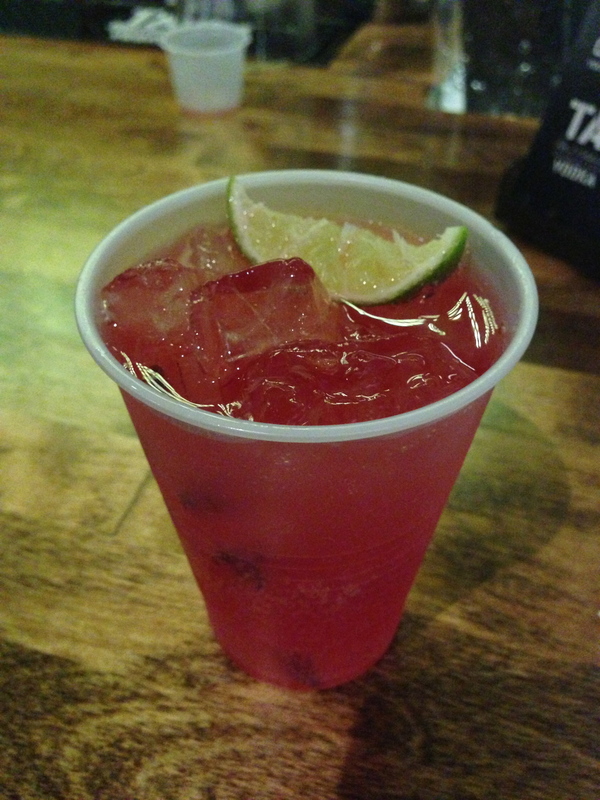 Tag Vodka’s Tag Royale – red berries with a splash of vodka, soda and cranberry juice! 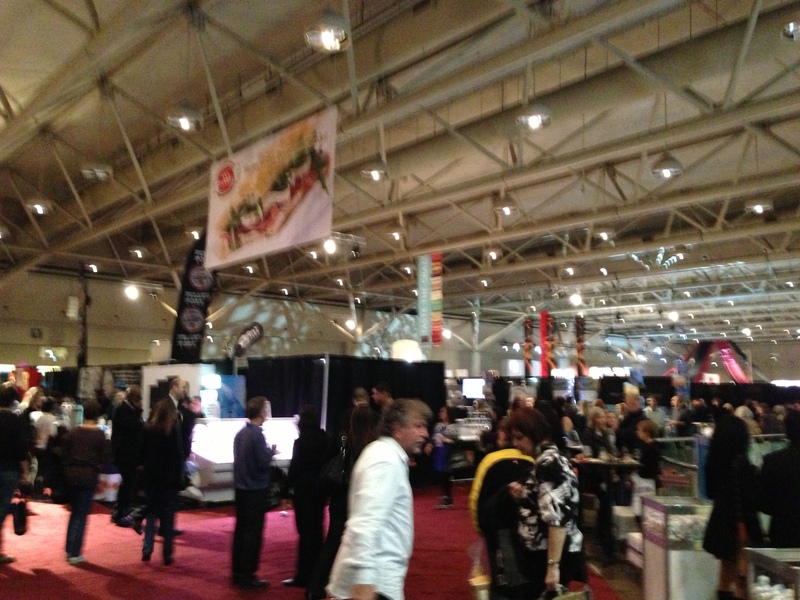 Inside the Gourmet Food & Wine Expo at the Toronto Metro Convention Centre.